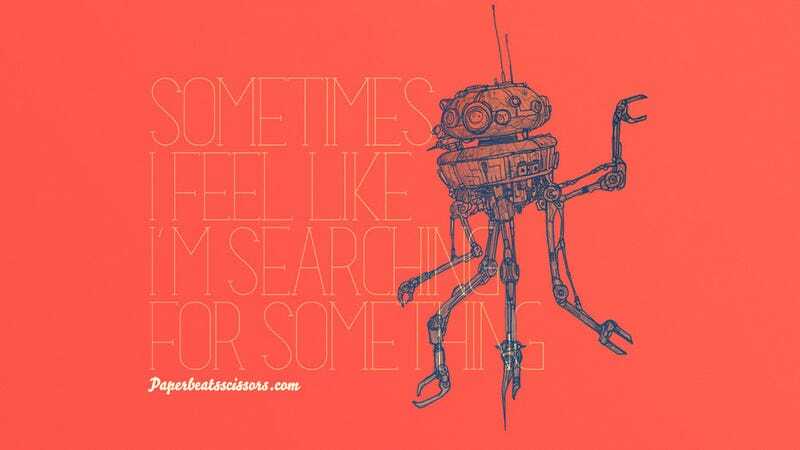 Droids Have Feelings too, You Know. Even When They're Not the Droids You're Looking for. Don't assume that, just because they've been built in a factory and programmed by man, that droids are just hunks of metal and wiring. They're as much characters of the Star Wars universe as anyone else.